Housed in a hard plastic cover, the Bear Grylls Knife Sharpener fits easily in your pocket or day pack. The handle is made of grippy rubber for secure holding in wet or cold conditions. Two rod shaped diamond-coated sharpeners allow you to sharpen the serrated sections of your knife. Coarse carbide and fine ceramic inserts will get your fine edge blade in shape. This survival field sharpener will likely be the only one you'll ever need. 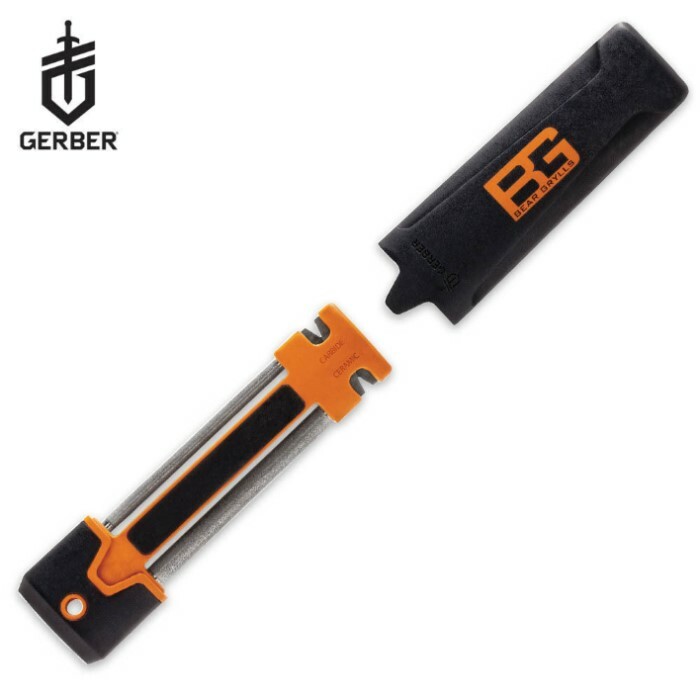 Its the pocket sized knife sharpening kit of my dreams! and only $17...how could I rate this anything but awesome! !